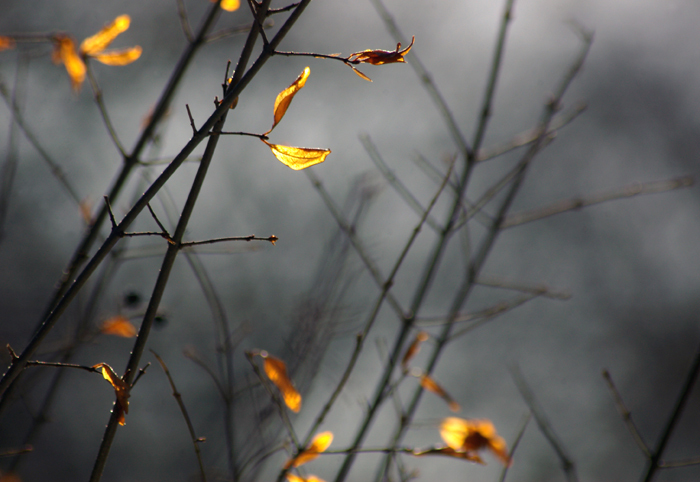 Leaves that have clung to a shrub all winter glow yellow in the early light of day. 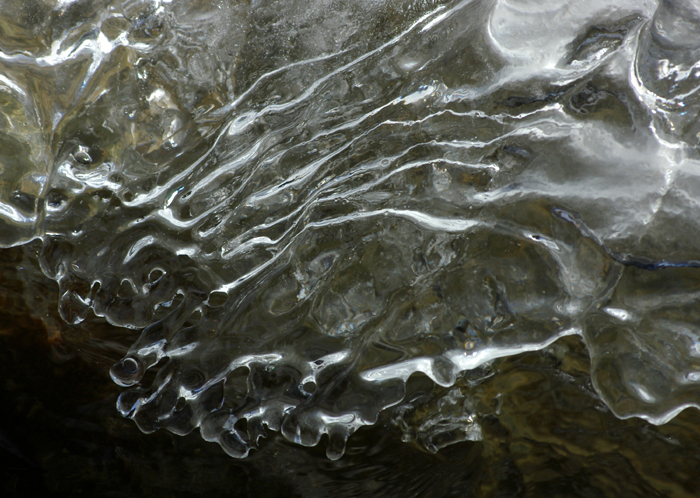 The ice along the creek bank freezes into such interesting shapes and patterns. A dramatic view in a back alley off Richmond Street in London. 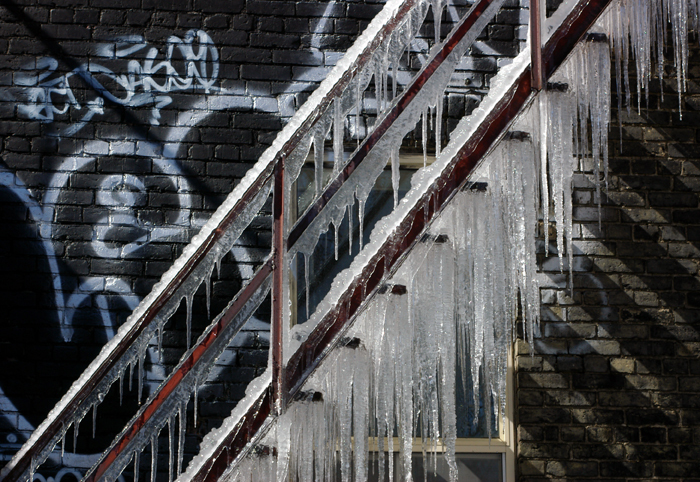 While out looking for colourful graffiti to photograph, I came across this magnificent staircase of icicles! 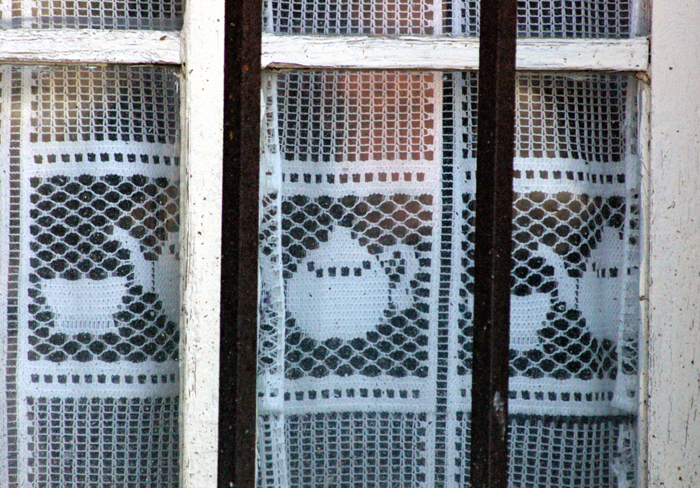 It is always fascinating to see how nature reveals itself, especially in urban settings. 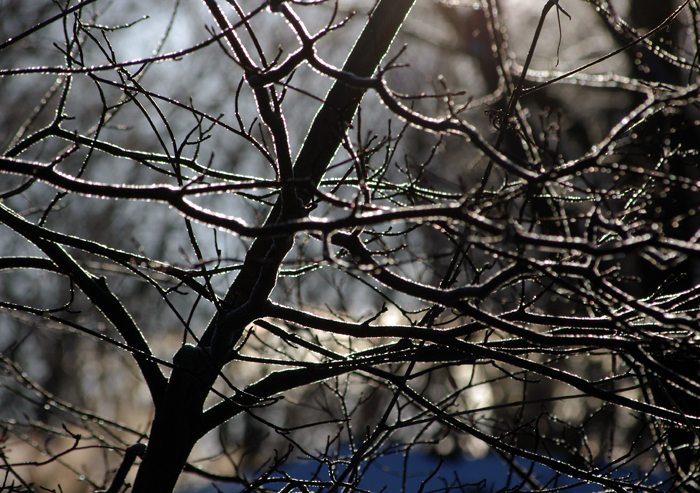 An ice tinged dogwood tree catches the early morning light. It is still very cold and frosty although it is officially spring! 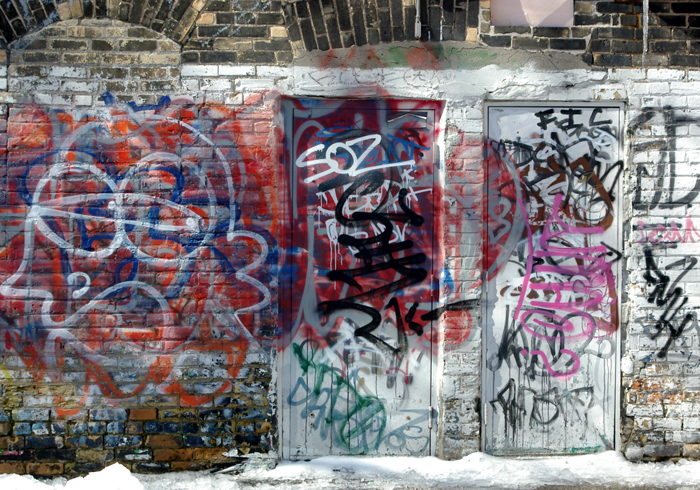 A colourful view in a back alley off Richmond Street in London, Ontario. A view from a friend's apartment balcony in Anghiari, Italy. I took this a few years ago while there on an artists' trip and would love to go back... some day. 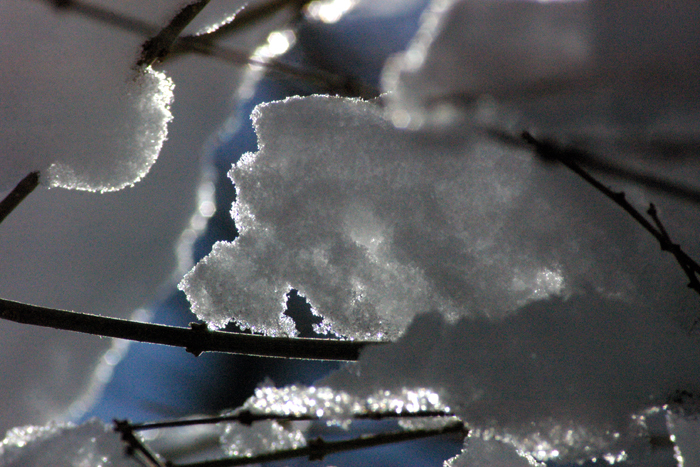 We had another dumping of snow the other day. Wet and heavy but this time only around 15 cm so not enough to cause a lot of damage. -10 c right now outside - I guess winter needs to take one last stand before the world of colour opens up.